I examined water in which I had steeped the pepper I formerly mentioned; and as if I had been looking upon a Sea, I saw infinite of small living Creatures swimming and playing up and down in it, a thing indeed very wonderful to behold. While many microbiologists might still feel that sense of wonder and awe in exploring the microbial communities around us, this is not true for most of the public. The general public generally associates microbes with infectious disease and other unhealthy and unsavory problems. The rise in antibiotic-resistant bacteria is due in part to the public’s fear of all bacteria, regardless of their relationship with health. How could we bring back that sense of exploration and awe for the microorganisms that are all around us? How can we reveal our surrounding microorganisms in a way that inspires further investigation? Community of Microbes seeks to do just that. 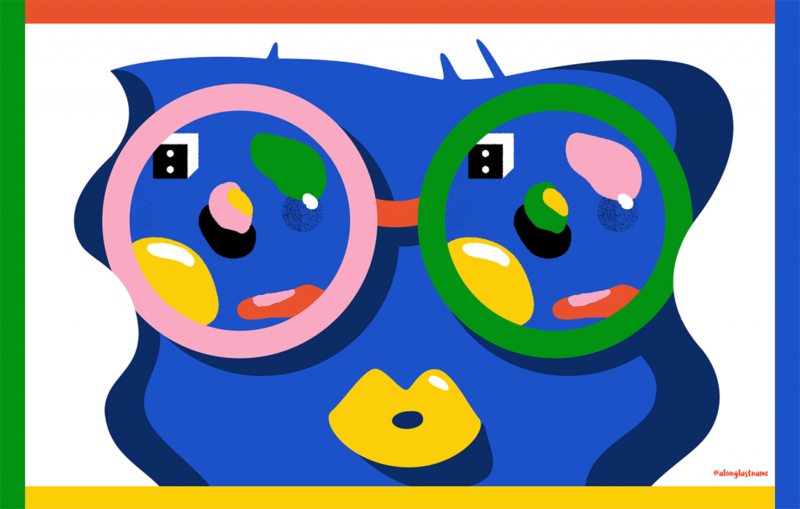 It will be a colorful, dynamic, augmented reality-enabled interactive experience that introduces audiences to eight communities of microbes, ordered by species complexity. We aim to pair a more familiar (built environment) microbial community with a more foreign one – for instance beer, which features a single common microbial species (Saccharomyces yeast) with a bobtail squid body, which features a monoculture of a Vibrio species. We also plan to feature subways, showers, and house dust as examples of familiar built environments. We will visually show how the microorganisms inhabit these spaces and interact with each other, while providing written material that illuminates how specific microorganisms in these habitats are used in human applications. We invite visitors to explore these unseen worlds and reevaluate how they perceive these minute life forms. The project is layered in its approach, appealing to visitors of all ages and walks of life. We are adding a layer of technology to make the science accessible, to attract new audiences, and provide an additional layer of information (text) and animation through augmented reality. Rather than being presented as static communities, our visualization and technology will reveal how they move and interact. Created by Dr. Anne A. Madden a microbiologist, inventor and science communicator and Amanda Phingbodhipakkiya, an award-winning multidisciplinary artist and STEM advocate, Community of Microbes is about bringing the complex world of microorganisms to a broader audience in person and online. In addition to our core team, the project’s scientific advisory board includes microbiologists Dr. Rob Dunn and Dr. Scott Chimileski. We’re planning to bring the project to multiple cities and locations, including the Cooper Union in NYC, the Museum of Natural Sciences in Raleigh, NC, and the Bell Museum in Minneapolis, Minnesota. We’re proud to have the partnership of each of these institutions as well as support from the Alfred P. Sloan Foundation in bringing the project to life. While we’re still working out all the project details for a Fall 2019 launch, we wanted to share this work with the community and invite your ideas, questions, and feedback as we continue forward. For examples of Dr. Madden’s scientific communications work see her 2017 Main stage TED talk “Meet the microscopic life that lives in your home—and on your face.” For examples of Ms. Phingbodhipakkiya’s STEM inspired design work, see her Beyond Curie project. Happy Holidays from the Community of Microbes Team! 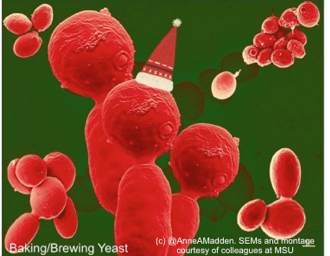 Pictured here: a Scanning Electron Micrograph of brewing yeast (Saccharomyces sp.) involved in making beer. Original SEM images and montage created by collaborators at Mississippi State University with Anne A. Madden (formerly of North Carolina State University).